Financing and refinancing are two terms that are very important to anyone interested in buying a home. For home buyers, financing is the act of getting funds to purchase a property. Once a home owner owns their home, they may want to replace their mortgage at a later date to pay for any number of things. This process is known as refinancing. Some reasons people get a new loan on their property is to pay for upgrades to a home, pay bills or other expenses like college for children. One great way to use refinancing is to pay down an existing mortgage or get a new, lower interest rate. While it is often less scary for home owners than getting an original loan, refinancing is pretty much a repeated process of obtaining a new loan on the same property. Unlike a new home financing, there isn’t the worry that not getting the loan will keep a home owner from getting the house they want. 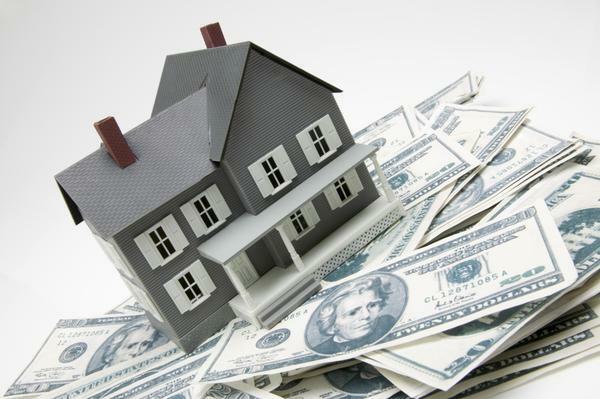 However, the stakes for getting refinanced are often almost as high in the home owner’s eyes. Refinancing involves the same approval and requirements as a new loan and the refinance mortgage will be a completely new agreement with its own terms and interest rates. Because it is, in essence a brand new loan even though it is on an existing property that the home owner already owns, lenders still need to underwrite it based on the current situation, the latest information on borrower’s credit and home values. During the process, a lender will likely want the home reappraised to determine its current value. Unless the previous loan and home evaluation was done less than a year prior to the new loan, the numbers are likely going to be different. If all of the new information meets current lending guidelines, a new loan is likely to be approved. When a new mortgage is granted, it takes the place of the old mortgage. The remaining amount of the initial mortgage is paid off with the new loan, and any remaining funds can be used in the way the home owner has stipulated in the application. There are three basic types of home loan refinancing: cash-out, cash-in, and rate-and-term. It is important for home owners to understand the differences of each type in order to decide which is best for their needs. Cash-Out: this is the most commonly thought of type of refinancing when a home owner considers a new home loan. If your home is worth more than when you made your purchase, or if you have owned it long enough to have paid down the mortgage you may have a lot of equity value in your home. If you refinance for a new mortgage above the amount of money remaining in the old mortgage, the difference is available in cash to be spent on needs. With a cash-out refinance, home owners must have enough equity or value change in their mortgages to receive more than $2,000. Home owners typically choose this type of refinance to get cash for debt consolidation, college tuitions or sometimes even vacations. Because a cash-out mortgage has as much risk for the lender as an original mortgage, the approval standards are very strict. Cash-In: When home owners choose a cash-in refinance, they are looking to pay down the rates or length of an original mortgage. These are popular loans when interest rates drop sharply, giving home owners access to better rates. This type of refinance will have better values for home owners with more equity than those with newer loans at a lower valuation. Rate and Term: With this type of refinancing there is no extra cash value at the end of the loan refinance. The only objective with this type of loan is to get a new interest rate or improve the terms on the existing mortgage. This is a helpful type of refinancing for individuals who may have had less than excellent credit ratings when they applied for an original loan, but have improved their scores enough to make a difference in the terms of their loan. It is also a great way to take advantage of lower interest rates for buyers who applied for a mortgage when rates were very high. With a rate and term refinance, a home owner may not receive more than $2,000 in cash value at the time of closing. • HARP: Formally known as the Home Affordable Refinance Program, HARP is available to current home owners who have a Freddie Mac or Fannie Mae backed mortgage. • USDA: For rural home owners who already have a USDA home loan, this streamline mortgage allows home owners to get the benefits of the USDA loan with any traditional financing from any lender. • FHA Streamline: Available to current FHA home loan borrowers. • VA Interest Rate Reduction Refinancing Loan: Also known as an IRRRL, this is a refinancing package for home owners with an existing VA mortgage. Because these loan programs are used to replace current loans already in the same systems, the application processes are extremely simplified. They take less time and most traditional loan application requirements are waived such as income verification, home appraisal and credit history verification.